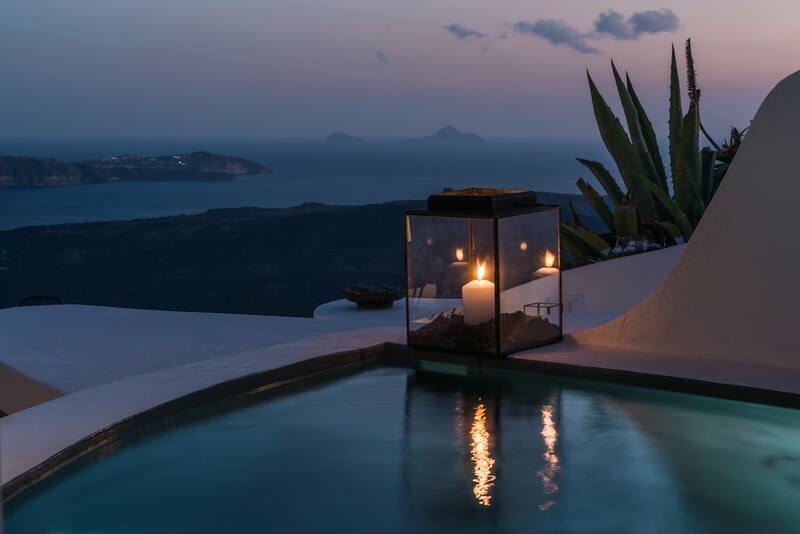 Formerly the house of a passionate art collector, The Vasilicos rules unique among Caldera boutique hotels, and not only due to its unmatched level of privacy. 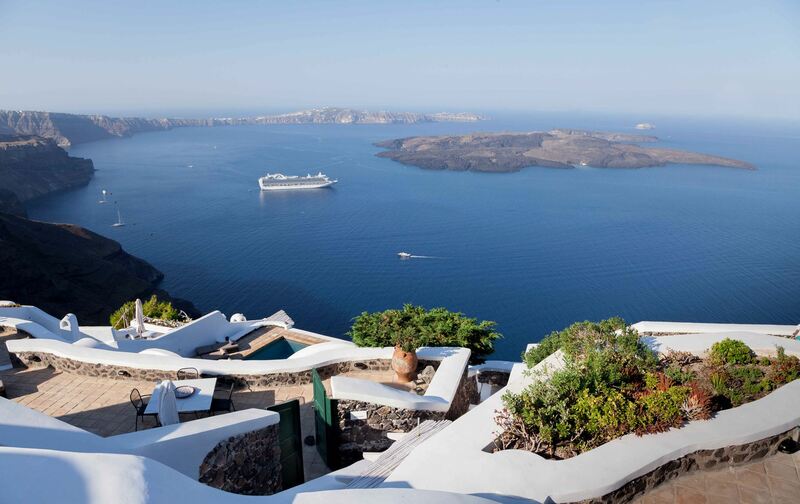 Perched high on the Caldera cliff, in the exclusive yet central area of the Agios Nicolaos Monastery in beautiful Imerovigli, the property consists of a constellation of hyposkafa - the cave-like structures typical of Santorini architecture - which have been transformed into magnificently elegant suites. Each opens onto a private terrace, and most feature their own plunge pool. 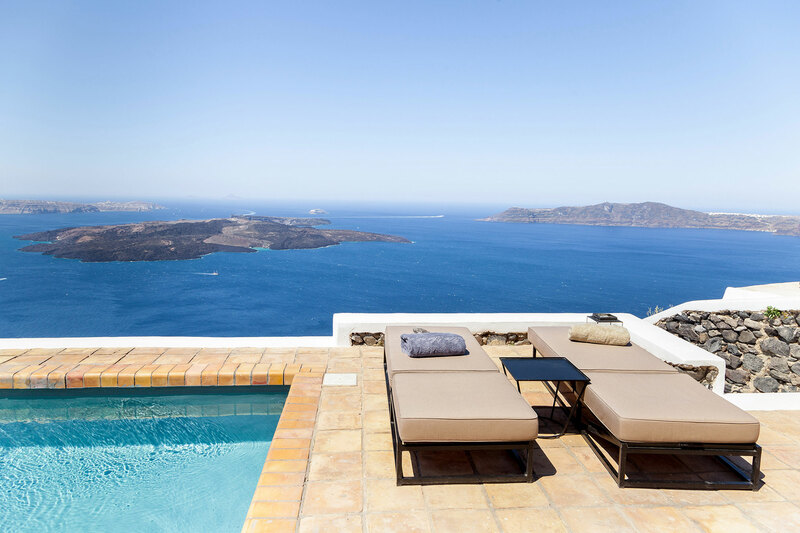 The ideal Caldera location offers stunning views and rambling exteriors, peace and privacy. Years of carefree holidays as a private summer residence have lent an air of laid-back luxury, which a team of ten staff are keen to afford. Recently renovated and furnished with unique pieces, tailor-made or handpicked from the family's private collection, the history of the property can be seen in every comfortable and elegant detail. 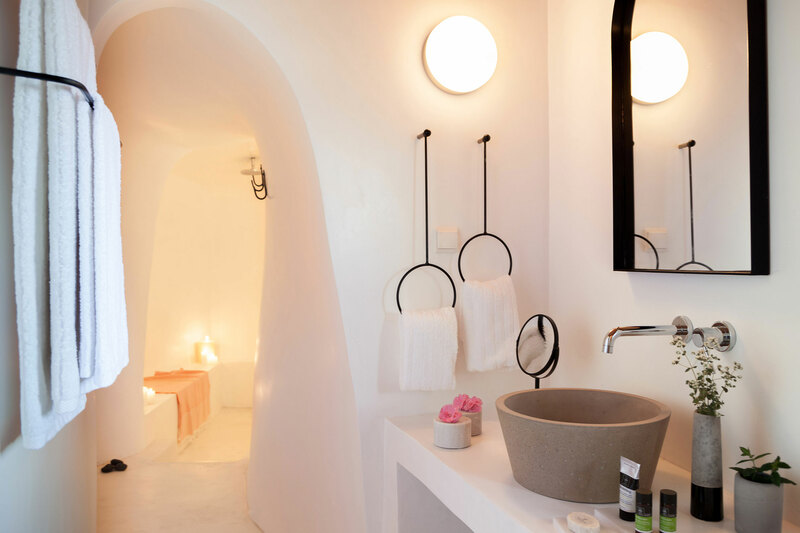 Local little secrets, surprise ice-creams, tailor-made details, The Vasilicos guests are treated to all the little things that truly make a holiday special, and invariable leave feeling that they have truly experienced the best of Santorini.